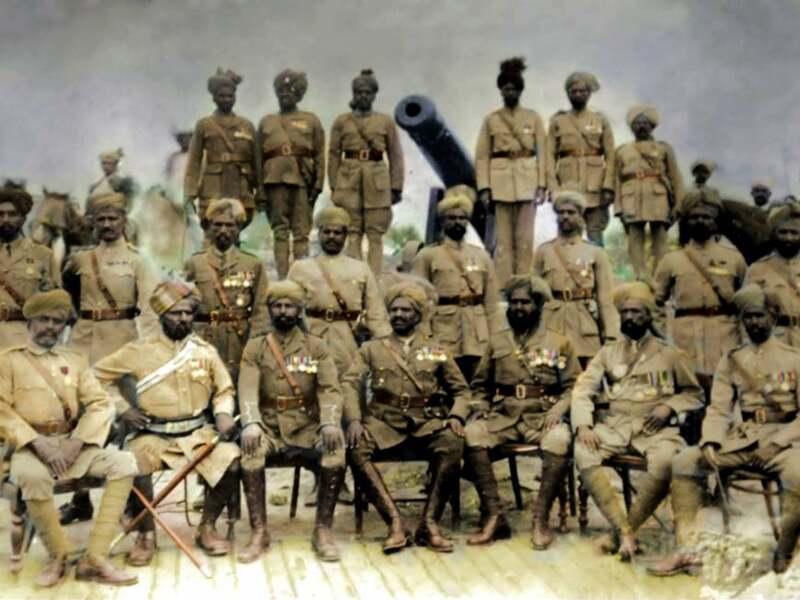 Unknown and Untold: The significance of Britains WW1 Muslim Soldiers. Half way into the centenary commemorations Britain’s desire to honour the events and combatants of WW1 remain increasingly committed. Each notable battle and treaty, act of valour and figure of heroism is visited in fresh light to ensure a century’s worth of dust never settles. But aside from ensuring the war is never removed from mass consciousness, what other purpose can remembrance serve and more importantly, how are the events we remember from it even determined? Perhaps it’s because history is so important to identity that the meaning of war and its remembrance has changed with the needs of British society. Immediately after the war of course it became important to engage with to understand what had just happened but the Cenotaphs, war memorials and memoirs we associate with remembrance didn’t actually exist until the 1920’s. The outbreak of war in 1939 gave the Great War a new name and the post-war peace of 1945 underpinned narratives of how heroes were betrayed in 1918. Interestingly, much of how we think of WW1 today actually derives from the 50th anniversary when Oh What A Lovely War was staged and innovations in media meant the BBC could create a stream of documentaries, which along with Sunday supplements popularised a new understanding of this history. Unfortunately none of these narratives to date have included the over two million soldiers who fought in WW1 for Britain from what is now the commonwealth. Of these, approximately 1.5 million were from undivided India alone, from which was delivered the most significant Muslim contribution. 400, 000 Muslims fought for Britain from undivided India alone serving at the most critical and influential theatres of war. From the famed battles of The Somme, Ypres and Neuve Chapelle on the Western Front to North and East Africa and even Mesopotamia where they fought Ottoman co-religionists, the contribution made by these Muslims remains compelling, prominent and of symbolic contemporary importance. That the first VC awardee amongst any of the commonwealth soldiers, Sepoy Khudadad Khan of the 129th Baluchis was an Indian Muslim demonstrates the full extent to which this contribution was made. Until recently proper acknowledgement of their sacrifices or valour has been lacking across South Asia as well as Britain. In India and Pakistan these soldiers represented an all too recent colonial history not suited to cultures newly discovering their own sense of independence and identity. But what of Britain, where Muslims make up the second most significant religious community and the explorations of identity are quite distinct to those occurring in South Asia? Think-tank British Future, in partnership with New Horizons in British Islam are conducting a national project called Unknown and Untold to ask just that question. What is the relevance of this shared history for both British Muslim and majority White British communities? In Birmingham the project has worked with marginalised youth from Muslim and Non-Muslim backgrounds hailing from Lozells and Kingstanding respectively. Collectively they learnt of the extent of Muslim contribution to the war before interviewing the descendants of those soldiers currently living in their own city. Presenting their findings and opinions at a public event, the Muslim youth spoke emphatically of how this knowledge of their ancestors, or at least people from their ancestral homes having served Britain at such a level, allowed them to feel a claim to this culture and identity as historic contributors – a claim reaching deeper than any immigrant narrative beginning in the 1970’s. Additionally, for the Non-Muslim White and African-Caribbean youth this heritage was found to remove any notions of inherent incompatibility between Britishness and Islamic values whilst simultaneously broadening their definitions of Britishness itself (see ww1muslimsoldiers.org.uk/inspiring-youth/ for more details). Similar attitudes were echoed in other parts of the country the project worked in, whilst in Leicester, where the heritage of Muslims fighting alongside their Hindu and Sikh countrymen was promoted, the same narrative proved successful in bringing together members from these three faith communities in a common honouring of their shared heritage and cultures. However, this project certainly doesn’t aim to gloss over the complexities surrounding the nature of this engagement by ignoring the unequal and at times, cruel treatment some of these soldiers were subjected to. Whilst some soldiers did enrol for ideas of adventure or money, not all of them were willing participants. As Britain became increasingly desperate for fighting men so did their recruitment methods and some shocking stories also exist detailing the brutality of such methods. Whilst some stories exist of admiration and respect from white officers towards their Muslim soldiers, others also exist to highlight the all too common feelings of prejudice and servility that were the unfortunate norm of Imperial subjugation. 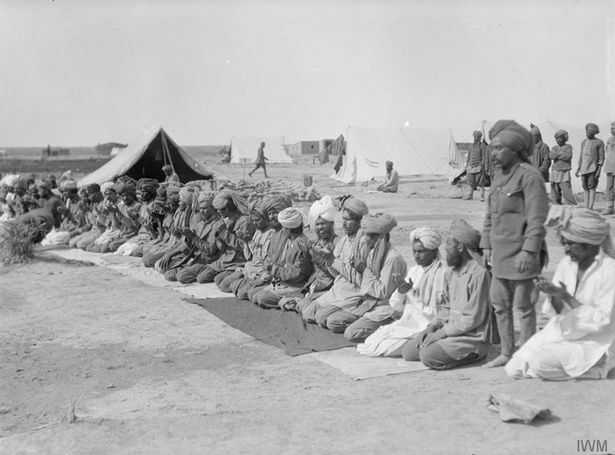 In light of such complexity, what remains is that 400,000 Indian Muslim soldiers delivered the highest contribution possible under the most imaginably cruel conditions towards the culture and identity all Britons enjoy today. Furthermore the Unknown & Untold project is proving that this heritage holds equal importance across all sections of society and not just for British Muslim communities, in developing a stronger sense of inclusivity and collective identity. British Future research conducted in 2013 asked what importance the British public associated with the centenary commemorations. A significant 80% agreed with a statement supporting the importance of acknowledging the commonwealth contribution for integration today. This overlooked chapter of history is too important for Britain’s contemporary identity to be overlooked any longer and the centenary brings an opportunity to at last acknowledge the integral role of Muslims in this nation’s history. The quote from Baldrick led me to think this account would explore the real reasons for the start of WWI. I’m somewhat disappointed that it didn’t. There have been some programmes on TV about the commonwealth soldiers, I think, but none about the disintegration and dismemberment of the Ottoman Empire, which seems to me to have been the main effect, if not cause, of the war. The European and more recently the US colonial powers carved up the Ottoman Empire between them, frequently fighting each other over bits of it, as seems now to be the case in Syria. Even after independence struggles were successful, the spheres of influence still remain with the various Powers.